The Rise of Early Modern Science: Islam, China and the West, by Toby Huff, chronicles the retreat of Christianity from pure faith (and Islamic-style fundamentalism) in the face of reason and science. Huff explains how and why it happened in the west—and NOT in Islamic countries, Eastern (Byzantine) Christianity, or in China. Arab scholars preserved and extended Greek thought — yet Plato, Aristotle, Pythagoras and other Greek thinkers had no impact in the Islamic or Byzantine Empires (where the language of Aristotle was the language of everyday life). THE CHRISTIAN DOCTRINE OF FREE WILL, and the corollary that man has a conscience, which has no counterpart in Islam. In Christianity, the human being is free to choose his own destiny — admittedly, between the narrow choices of heaven or hell. A corollary is the principle of secondary causation: when you hit the white billiard ball which strikes a red one, the movement of the red ball is caused (secondarily) by the action of the white. In Islam, there is no secondary causation: everything, including the movement of the red billiard ball, is caused by Allah. THE SEPARATION OF STATE AND CHURCH: After the collapse of the western Roman Empire, Europe still had its monopoly Catholic church, centered in Rome, which was occasionally divided by dissension; but political power was fragmented between dozens of kingdoms and tiny principalities. Thus, temporal and spiritual power were separated, and competed for power. In Islam (and the Byzantine Empire) the Caliph was the ruler of both church and state, and the law of the state was the law of the church, and vice versa. THE “UNIVERSITAS” AND THE REDISCOVERY OF ROMAN LAW: The rediscovery of Roman Law led to the idea of regular, universal laws, the codification of civil and canon (church) law, and the universitas, or corporation. Unlike today’s corporation, the universitas was a cross between a guild and a mini-state: it could make laws binding its members which had equal force with the laws of the state and church. One profession that established the universitas was that of teachers, the result being the University, which became yet another center of power, jealously guarding its legal privileges against both church and state. No equivalent to the flourishing universities of Oxford, Paris, and Bologna existed anywhere else on earth. They became transmitters of knowledge: a certificate from one university was recognized by others. In the Islamic world, a student could learn from an individual teacher, but if he changed teachers he would usually have to begin again. In any event, to Muslims everything was (and still is) to be found in the Koran, so any other source of knowledge was seen to be unnecessary, if not dangerous to the health of state and society. Such independent scholars as did exist did so on sufferance, or thanks to the (usually temporary) protection of a relatively-open-minded ruler. In the process—without, perhaps, necessarily intending to—Huff shows why Islam remains hostile to science and reason (in the same way early Christianity was). Author of the bestelling The Winning Investment Habits of Warren Buffett & George Soros, Mark Tier was the founder of the investment newsletter World Money Analyst, which he published until 1991, the author of Understanding Inflation and The Nature of Market Cycles. Since 1991, he's helped start five new (and highly successful) investment publications. 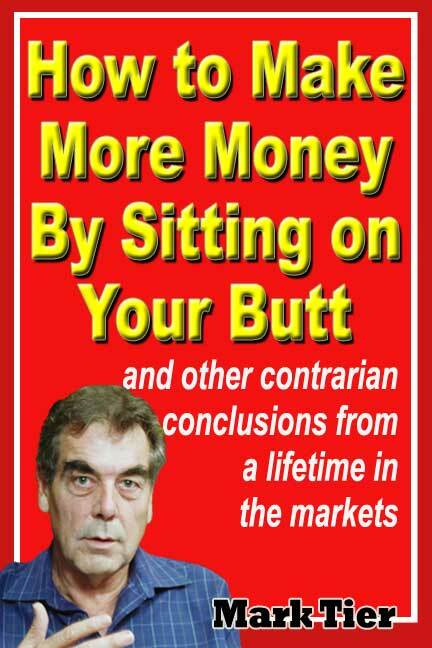 When he adopted the the winning investment habits of Warren Buffett & George Soros himself, he sold all his business interests and now lives solely from the returns on his investments. His most recent books including Trust Your Enemies, a political thriller which is “Up there with The Girl With the Dragon Tattoo” and “Worthy of Ayn Rand” according to reviews on Amazon.com, and Ayn Rand's 5 Surprisingly Simple Rules for Judging Political Candidates. If Ron Paul were President…Did God Evolve?